New drugs are making it easier to cope with nausea caused by cancer treatment. Medical oncologist Mark Kris discusses how new guidelines for preventing nausea and vomiting due to treatment can improve quality of life for people with cancer. Dr. Kris co-chaired a panel that is releasing the guidelines. The American Society of Clinical Oncology (ASCO) is releasing new guidelines on the use of medications to prevent nausea and vomiting in people undergoing cancer treatment. ASCO updated its guidelines to provide evidence-based information on the latest drugs. 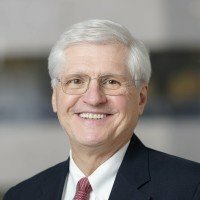 We spoke to Memorial Sloan Kettering thoracic oncologist Mark Kris, a co-chair of the expert panel that shaped the guidelines, about why they are important and what patients should know. Why do certain cancer treatments cause nausea and vomiting? We don’t know exactly how chemotherapy and radiation therapy contribute to these side effects. We do know they produce changes in the brain that activate certain neural pathways that lead to nausea and vomiting. We need to prevent the activation of these nerves or block their signals to turn off the side effects. Are nausea and vomiting major concerns for cancer patients? Absolutely. 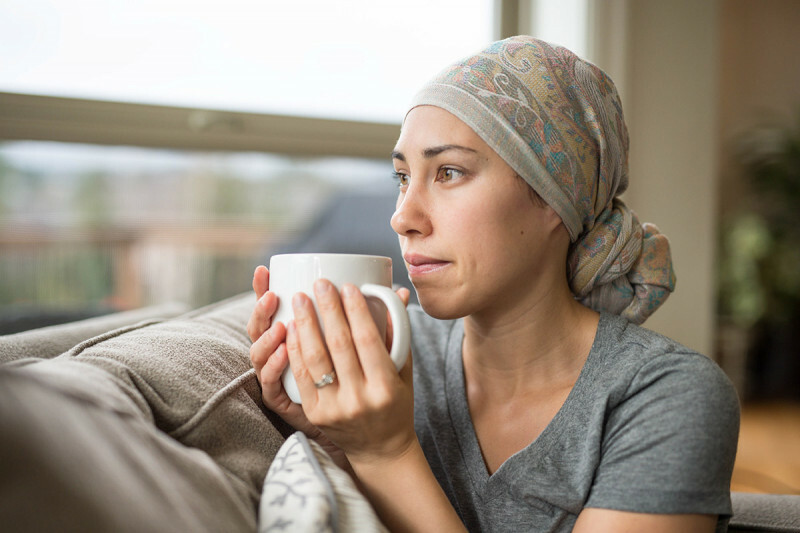 If you ask a person with cancer which side effects of treatment he or she fears the most, nausea, vomiting, and hair loss top the list of concerns. What’s new for the treatment of nausea and vomiting? Number one is the addition of a drug called olanzapine. This is the first time in more than a decade that we’ve been able to add another drug to our toolkit that’s safe and effective in relieving nausea caused by cancer treatment. In addition, this drug is inexpensive, has already been extensively researched, and is readily available all over the world. Another recommendation is that adults who are being treated with carboplatin chemotherapy or high-dose chemotherapy and children who are at high risk for nausea and vomiting should have another drug added to their standard regimen — drugs in the class called NK1 receptor agonists. These drugs block one of the critical neural pathways we talked about earlier. Do antinausea drugs have any side effects that people need to be concerned about? No, and that’s the most amazing thing. These medicines have very few side effects, and there is almost never a situation in which the side effects are so severe that people can’t receive the drugs. Many people wonder about using marijuana to treat these symptoms. What do we know about its effects and potential benefits? Two cannabinoid drugs, dronabinol and nabilone, are approved by the US Food and Drug Administration to treat nausea and vomiting. The new guidelines recommend using those medications to treat nausea and vomiting that persist despite taking other drugs. Members of the ASCO panel found that there was not enough information to recommend other forms of marijuana for either the prevention or treatment of nausea. And for people who have lung cancers — like the patients I treat — inhaled marijuana is not a good option for sick lungs. At MSK, it is in our culture that patients should get the best preventive medicine for nausea and vomiting. We have embraced this philosophy for almost two decades. Should patients change their diet to reduce their risk of nausea? The good news is, these drugs work so well for most people that other measures are usually not needed. There’s no reason for people to restrict their diets. Are there any other take-home messages for MSK patients? For people who are concerned about these side effects, they should be comforted that effective treatments are available. These medicines work by preventing the problem, which entails taking them before symptoms happen. That’s not intuitive to a lot of people, but it’s crucial to understand. It’s also vital for patients to know that they should continue to take these medicines for the full number of days they are prescribed, and not discontinue them because they’re feeling OK. If you stop taking them early, the symptoms can still arise, even three or four days after receiving chemotherapy or radiation. It’s important to recognize the role of our nurses and pharmacists in this process: Pharmacists make sure the drugs are available, and nurses educate patients and their families in the importance of taking them. Those things really make a difference. At MSK, it is in our culture that patients should get the best preventive medicine for nausea and vomiting. We have embraced this philosophy for almost two decades. The vast majority of patients receiving chemotherapy and radiation at MSK — more than 90% — have no vomiting and nearly all have their symptoms lessened. It is reassuring to know that these medications as described in this post are available to combat nausea and vomiting. As someone who does not react well to many meds, I ask what other options exist? Are there foods or alternative oncology or medicine strategies that others have used successfully as well or in conjunction with these fine meds? Dear Carol, we recommend that you discuss this with your healthcare team. According to Dr. Kris, the vast majority of patients have no problems taking these medications. Thank you for your comment, and best wishes to you. I am on immunotherapy doesn't act the same as chemo but my appetite is gone a little nausea this can happen days later after treatment as well as any other side effects. This is an immune system problem. How do you manage theses side effects. Dear JK, we’re sorry to hear you’re going through this. We recommend you discuss your concerns with your healthcare team. Thank you for your comment, and best wishes to you. Hi, overall good article but I am deeply disappointed on your comments about marijuana and specifically medical marijuana. I am a MM patient on NH and use it to for nausea and to stimulate appetite as a cancer patient. Edibles are a great way not to have to smoke it as referenced in your comment about lung cancer patients. Especially as the #1 cancer center in our area, I really believe that MSKCC should embrace and educate your physicians etc on the benefits of medical marijuana instead of just recommending the pharma alternative. you may be surprised if you asked patients who have used the pharma brand and the natural marijuana which actually works best. If you are interested in any literature, I will gladly send some. Are there any OTC anti nausea meds that work well with chemo/radiation treatments? Dear David, none of the medicines recommended in the new guidelines are available without a prescription.Please connect with your healthcare team to discuss the best options for your particular situation. Thank you for your comment, and best wishes to you. During a trial of chemo and radiation,I did find cannabis to be helpful to at least keep my weight stable and there was also less of an urge to bring that food back up.Problem was the cbd variety did not work well.,while sativa smoked was much more effective. In NYC that type of use is still pretty much illegal, and hard to get here.I hope the laws can change here soon. I have had six infusions of paclitaxel as well as six infusions of trastuzumab. The second week of treatment, I began to feel nauseous, so I started taking the prescribed ondansetron. Nausea: GONE! My family, friends, and colleagues are all amazed at "how good I look.....how healthy I look." Most days I have a great appetite, and most evenings I get a good night's sleep. I still do my morning exercises, do lots of walking, taking the many, many, many stairs to my office. I was hoping with the chemotherapy I would finally lose the five pounds I've been trying to lose for the past ten years, but apparently, that's not going to happen, at least not due to chemo. MSK is taking very good care of me. I finally lost my hair, so I know the drug is getting into me and is doing what it's designed to do. I feel a little embarrassed.... I feel like I'm somehow cheating, since I feel so good while I'm on chemotherapy. I am very confident that my MSK team knows exactly what to do to keep me cancer free in the most painless way possible. Thank you MSK! I'm glad I chose you for treatment of my breast cancer. Dear Claudia, thank you for sharing your experiences. We’re glad to hear you’re feeling fell and have been happy with your treatment. Best wishes to you! Isn't olanzapine an antipsychotic drub used for schizophrenia? And now it's being used as an anti nausea drug?